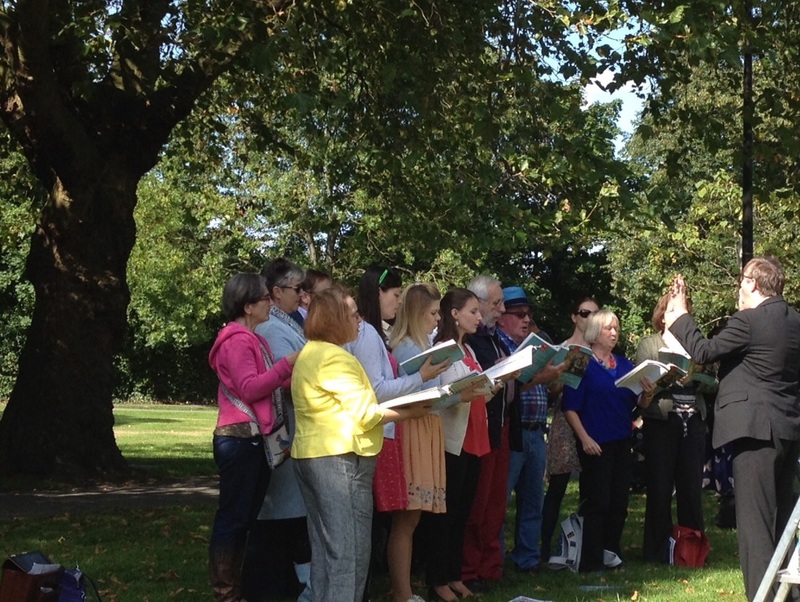 East London Chorus sang al fresco on Christchurch Green, entertaining people at a picnic and book swap event at Wanstead Fringe 2015. Lasting about 45 minutes, the programme included some pieces from European Sacred Music, some Shearing Songs and Sonnets, and a selection from My Fair Lady. Categories: Past performances | Permalink.